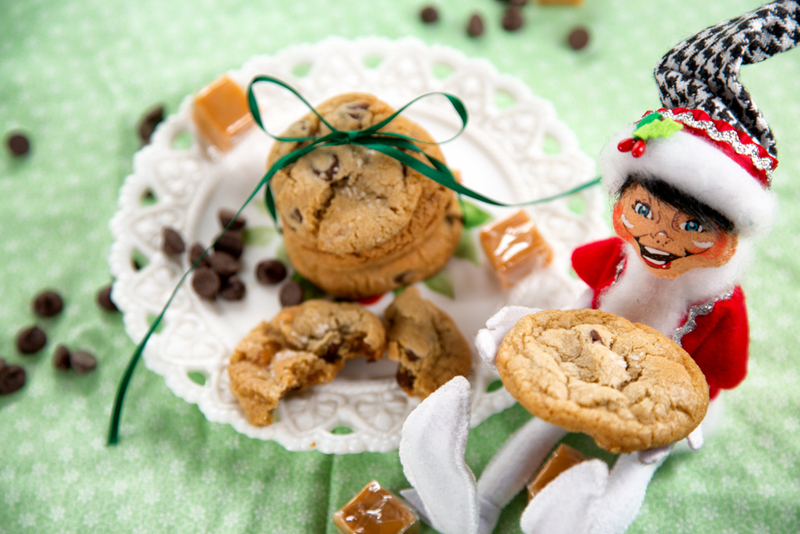 Merry Christmas Cookies and Cheer! – We Call Him Yes!Chef! Merry Christmas Cookies and Cheer! It’s been a busy and hectic couple of months for the Schmautzhaus and Yes!Chef! and I have not had much time to attend to this poor little blog. I apologize and promise to do better in the new year. If you have been following along with this blog, you know that we recently remodeled my childhood home and moved into it earlier this year. Our other house has been on the market for several months now and we have had our ups (buyer made and offer and we accepted) and downs (buyer backed out 1 day before closing and the King Fire forced the house off the market for about a month due to the insurance companies not selling any policies in that area until the fire was out.) Now, with a forecast of snow on Christmas Eve, we still have not sold the house. Because of all this we have directed a lot of attention to selling the house and trying to settle into our new house. Trying not to complain, but it does help explain our absence. However, it is Christmas. Our new neighbors have been very patient with us while we were trying to get the house remodeled (took over a year), get things cleaned up and the yard in some semblance of order. So, I have made some Christmas Cookies to give to our neighbors as a way to say thanks for putting up with us. It never hurts to build a little good will with neighbors. When my kids were young we would always make cookies for the neighbors at Christmas, but when we moved out to the country, we didn’t have too many neighbors, so that tradition went by the wayside. Now that we have neighbors, I was excited to revive this Schmautzhaus tradition. 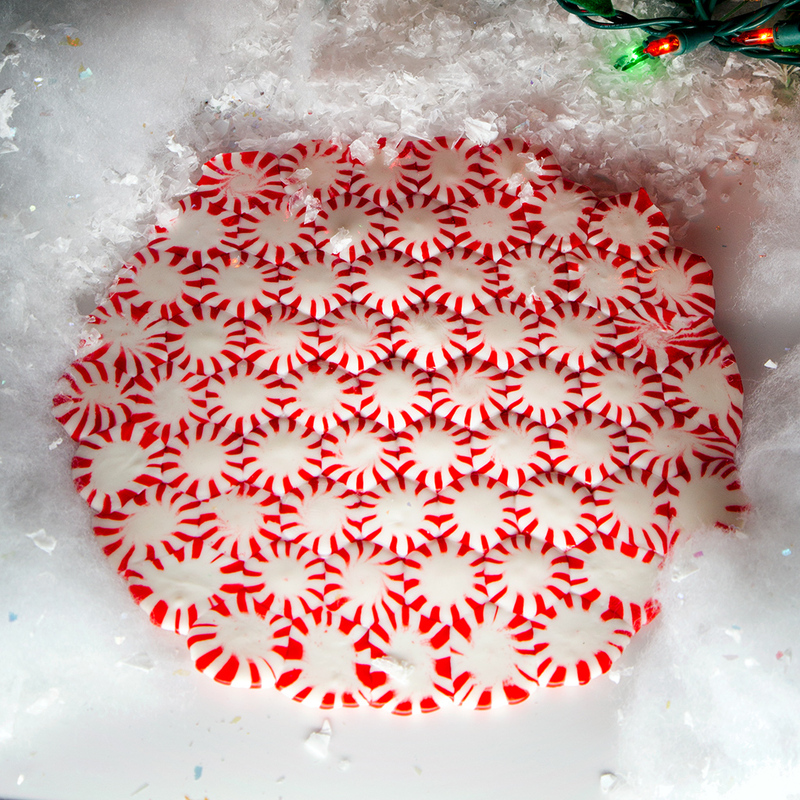 I started by making some peppermint plates to place the cookies. These are so easy to make. Get some starlight peppermint candies (I found mine at the dollar store), preheat your oven to 350, place some parchment paper in the bottom of a pan with sides, arrange the mints close together, put in the oven for about 10 minutes (watch them closely after about 8 minutes), cool and you are done. 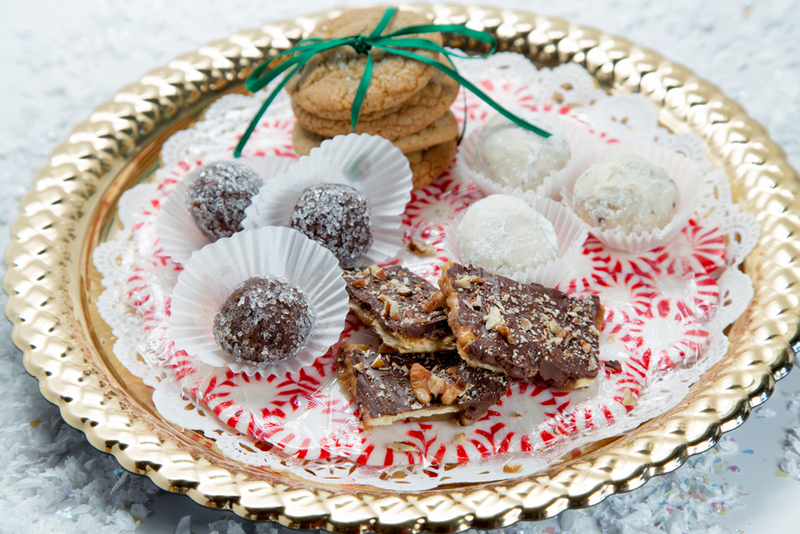 The plate is edible, so when you are done with the cookies, break up the plate and munch away. The plates are candy, so be careful to not get moisture on it. I wrapped mine in plastic so the cookies wouldn’t stick to it or transfer the flavor to the cookies. It’s a fun and inexpensive Christmas craft. Next up we made Rum Balls. My mother used to make them for Christmas, but I had forgotten how good they are. These are easy and tasty. Here’s the recipe by Martha Stewart. Preheat oven to 350. Coat a 12-by-17-inch rimmed baking sheet with cooking spray; set aside. Melt butter and chocolate in a small heatproof bowl set over a pan of simmering water, stirring occasionally. Set aside. Whisk together eggs, brown sugar, vanilla, and salt in a large bowl. Stir in chocolate mixture, then fold in flour. Pour batter into prepared baking sheet. Spread evenly with a rubber spatula. Bake until top is shiny and a cake tester inserted into center comes out with some crumbs attached, about 10 minutes. Let cool completely on a wire rack. Break up brownie into small pieces; transfer to the bowl of an electric mixer fitted with the paddle attachment. With machine on low speed, pour in rum, and mix until crumbs start to come together to form a ball. 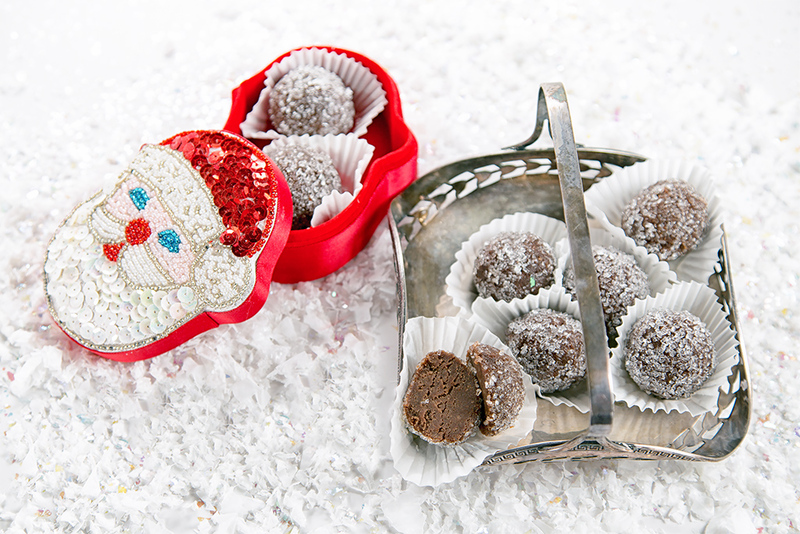 Shape into 1-inch balls, and roll in sanding sugar to coat. Transfer to a baking sheet; refrigerate, uncovered, until cold, about 2 hours. Serve chilled or at room temperature. I have found that the longer you leave them in the fridge…the better they taste. 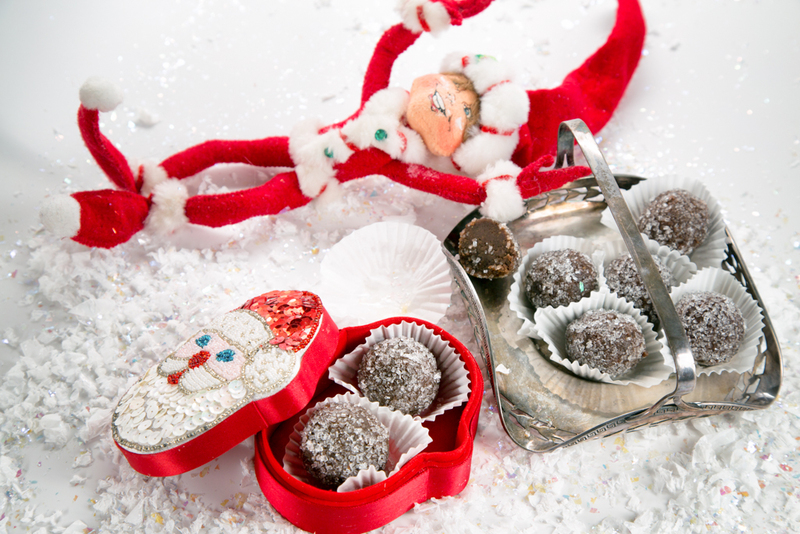 The elves enjoyed them. Next up: Snowballs or Mexican Wedding Cookies. These are my daughter’s favorites, so I wanted to include these simple shortbread cookies in the mix. There are a million recipes on the web for these, all pretty much the same. I chose a Kraft recipe. BEAT butter, 1/2 cup sugar and vanilla in large bowl with mixer until light and fluffy. Gradually add flour, beating on low speed after each addition until blended. Add nuts; mix well. SHAPE dough into 48 (1-inch) balls. Place, 1-1/2 inches apart, on baking sheets. BAKE 14 to 15 min. or until bottoms are lightly browned. Cool 5 min. on baking sheets. 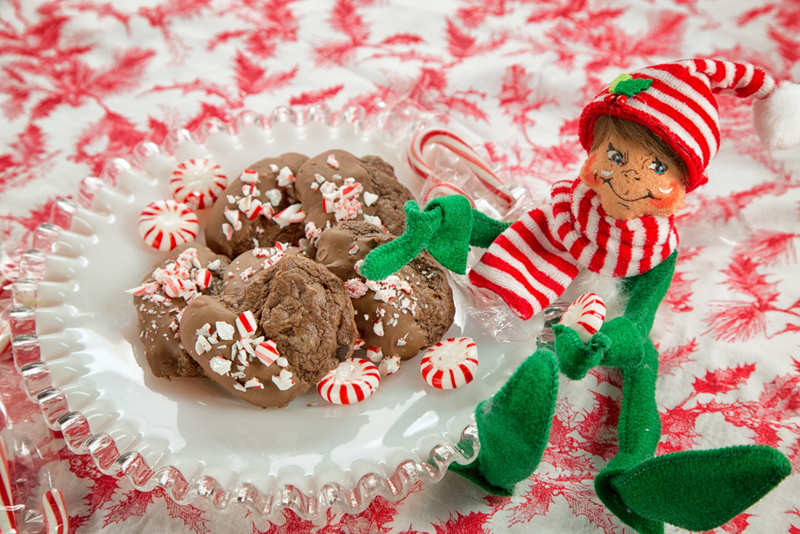 Roll warm cookies, 1 at a time, in remaining sugar in small bowl until evenly coated; place on wire racks. Cool completely. 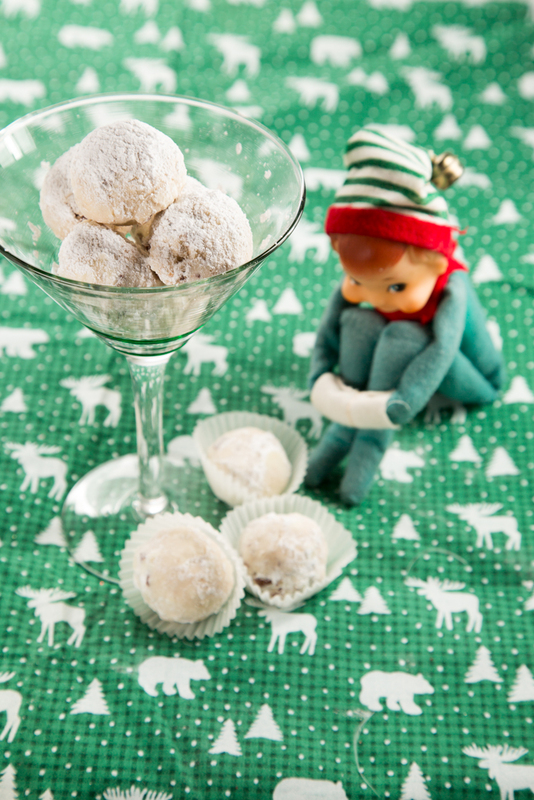 Elves apparently like Snowballs, too, and this little elf was a little shy about taking a cookie, but he sure did stare at it longingly. And now on to Chocolate Chocolate Chip Cookies Dipped in Milk Chocolate and sprinkled with peppermint pieces. I found this recipe in a Holiday Bon Appetit Magazine. Melt 7 oz. dark chocolate and butter in a double boiler or in a metal bowl set over a saucepan of barely simmering water. Let cool. Mix flour, baking powder and salt in a bowl. Set aside. Beat eggs, sugar, and vanilla until light and fluffy, about 8-10 minutes. Stir in reserved dark chocolate mixture and remaining 5 oz. dark chocolate. Add flour mixture and stir until smooth. Let mixture rest 15 minutes. Meanwhile, preheat oven 350 degrees. 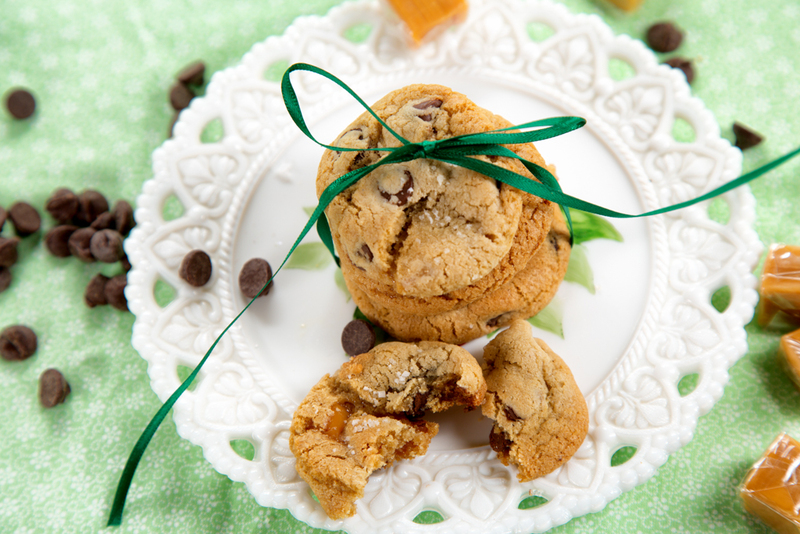 Place rounded tablespoonfuls of dough onto a baking sheet lined with parchment paper, leaving space between cookies. Bake for 8-10 minutes. Let cool. 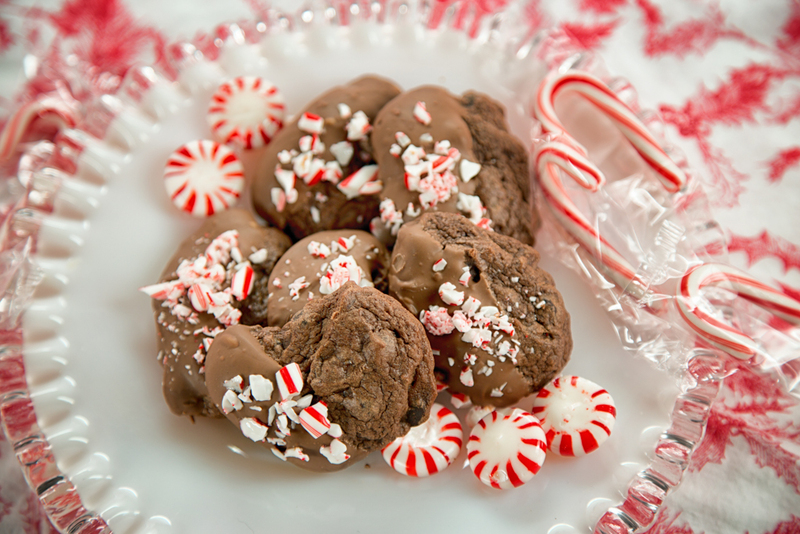 Dip cookies in milk chocolate and then in crushed candy cane (or sprinkle candy cane on top). Place cookies on a wire rack to harden. 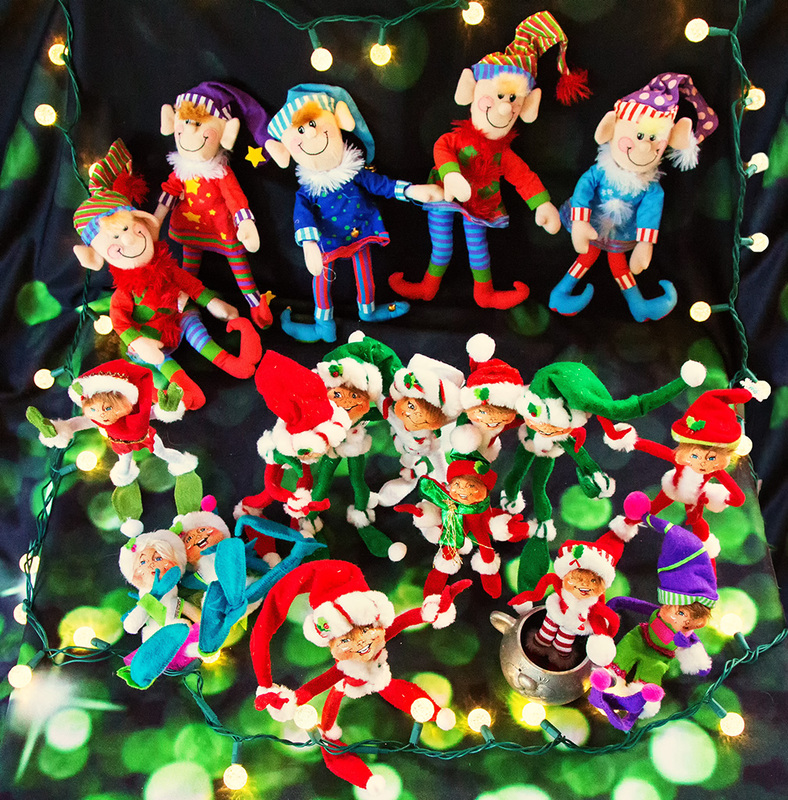 Two new elves showed up this year and claimed to be Edmond’s relatives. 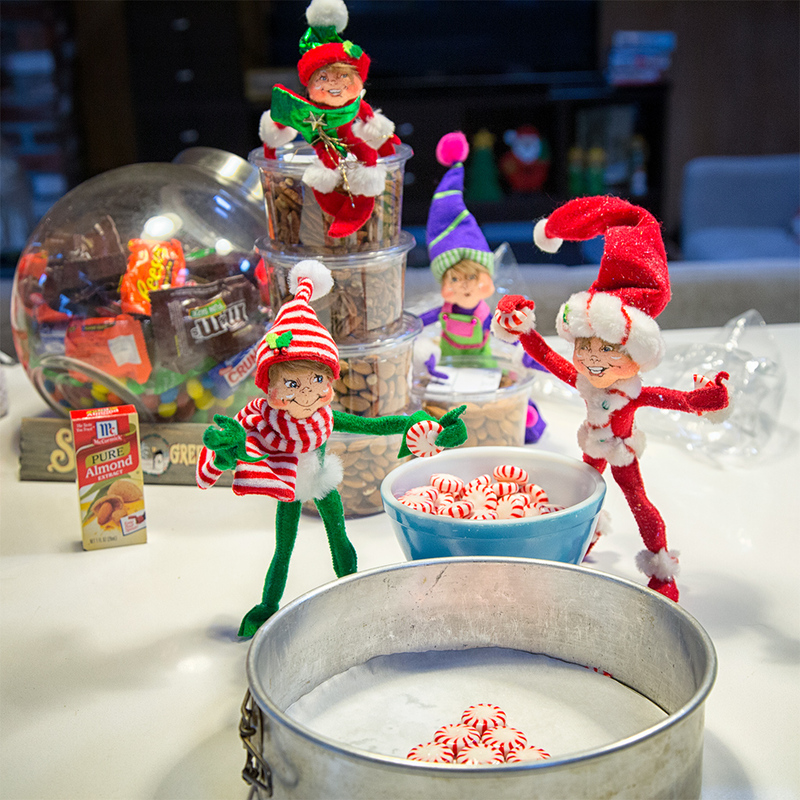 One of them was a cute little peppermint elf. This was the recipe that he particularly enjoyed. 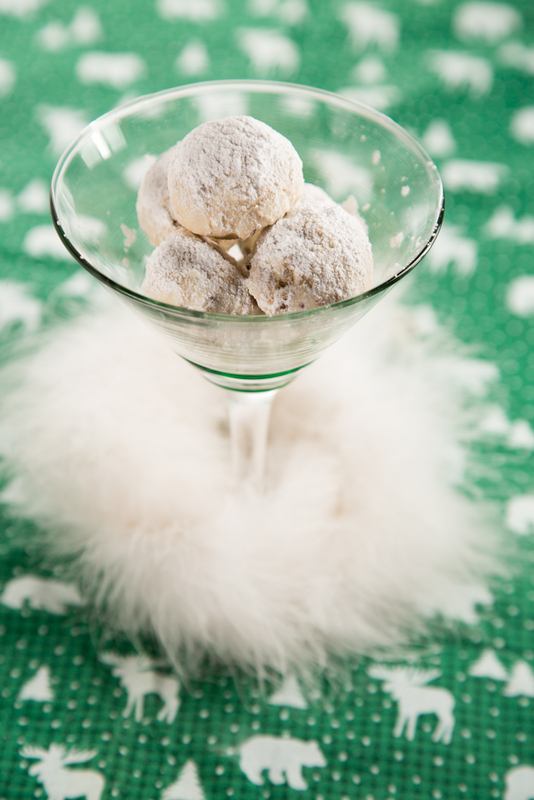 A cookie that I make almost every year has been referred to as Christmas Crack. 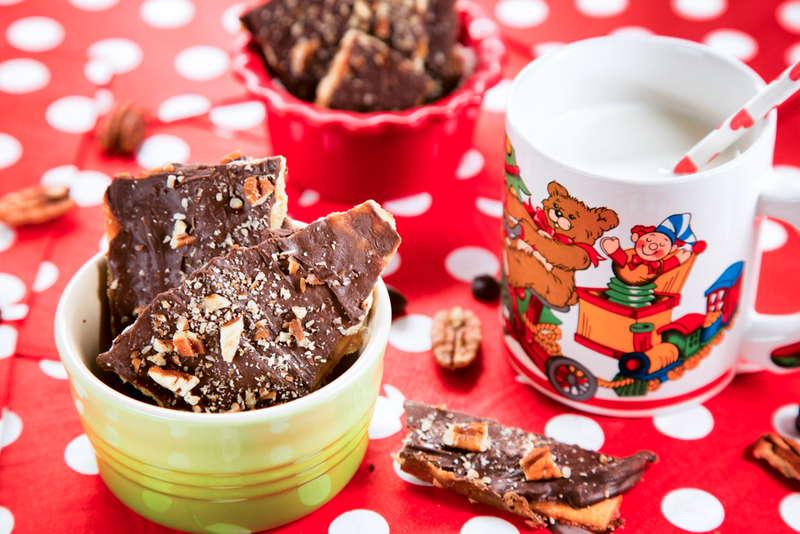 I prefer to call it Saltine Toffee and I made it last year for this blog. This year, though, I switched out the cracker for Keebler Club Crackers, which are a little more buttery. Frankly, either cracker is a good choice. 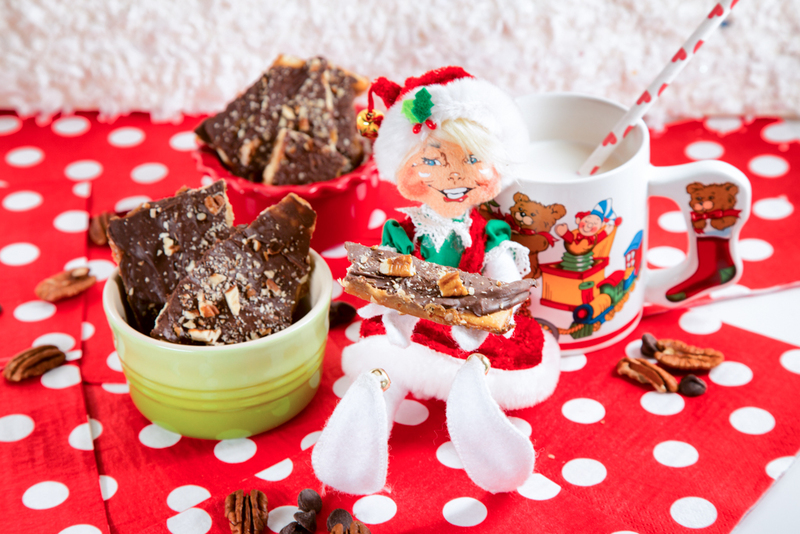 Here’s my original link to Saltine Toffee, one of the easiest and tastiest Christmas cookies. Please note that these cookies do contain pecans, for those that may have allergies. And who can forget Chocolate Chip Cookies for Christmas? But, let’s add a little twist and add some caramel and a little sprinkling of salt on top. No nuts in these cookies, but a whole lot of Christmas flavor…chocolate chips, caramel and cookie. Everything you need to have yourself a Merry Little Christmas. I found this recipe on Two Peas and Their Pod here. I could not find the caramel bits, so I bought wrapped caramels and cut them into 4 pieces. Worked great. These nuts were super easy to make. I found the recipe here. Heat oven to 300F degrees. Line a baking sheet with tinfoil and spray with cooking spray. In a large bowl, whisk egg whites until foamy. Add spices and parmesan; stir to combine. Add the nuts and toss to coat thoroughly. Spread almonds into a single layer on the baking prepared sheet. Bake nuts for 30-40 minutes, stirring every 15 minutes. 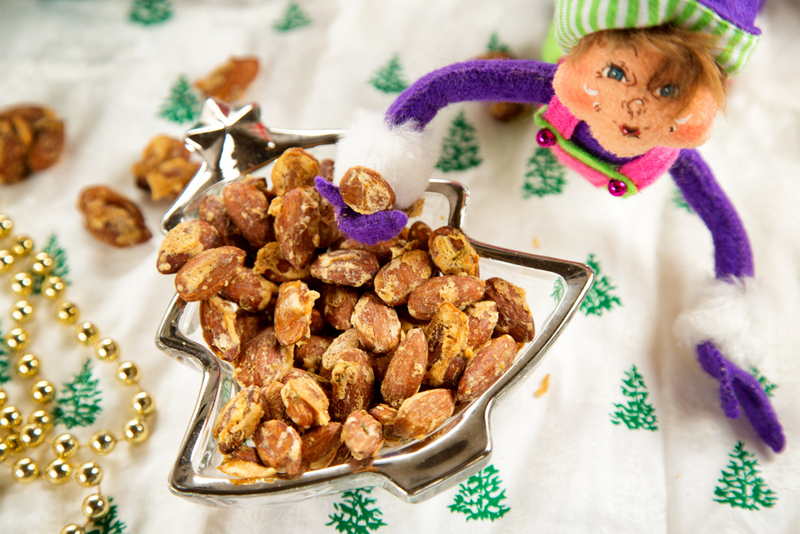 Remove from oven and cool completely before storing nuts in an airtight container. Nuts will last up to two weeks. And there you have it…our gift to our neighbors. 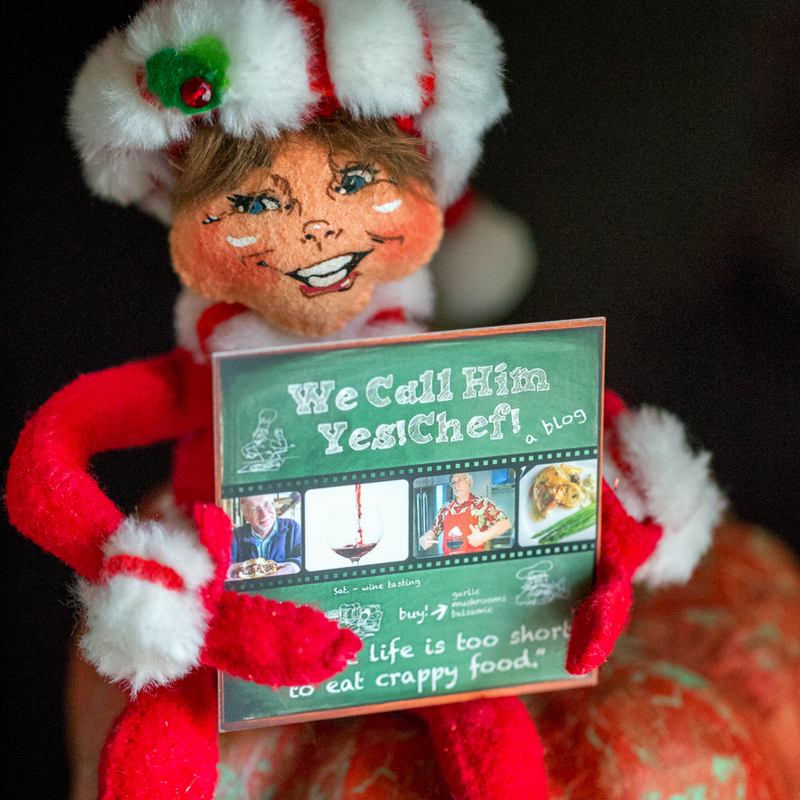 I gave each of our gift recipients a Yes!Chef! business card so that they could see these recipes on line in case they wanted to make them for themselves or if they needed to check the ingredients for allergies. I hope everyone has a great Christmas and Holiday Season and a Happy New Year. 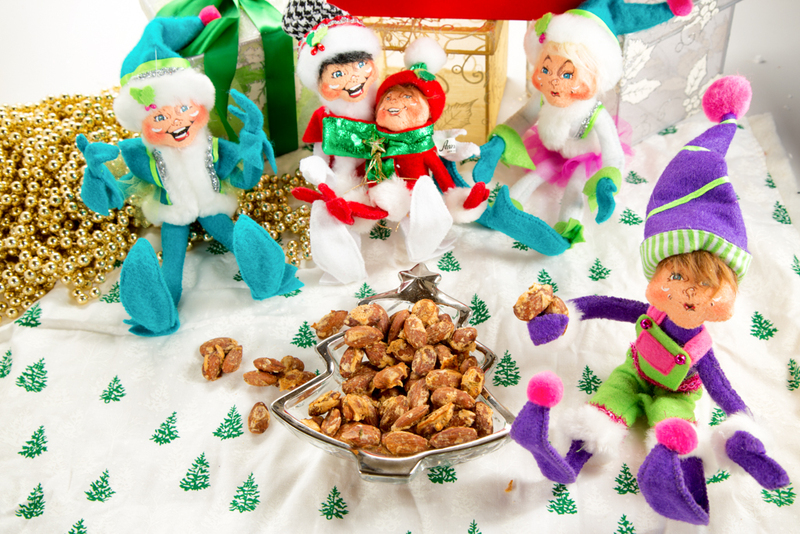 Merry Christmas from the elves. If you would like to see more of Edmond’s adventures, go here.